All children are invited to gather at the Children’s Table following the anthem for a quiet activity to help them engage in and experience the gospel message while allowing them to move around and explore in ways that come naturally to them. Along with a craft activity you will also find Children’s Bulletins in two different developmental levels containing activities relating to the day. 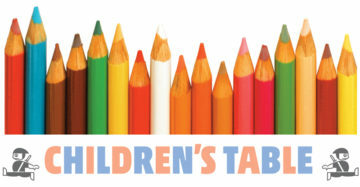 For more information on the Children’s Table contact Teri Skakum, Child and Family Coordinator. This Sunday, we celebrate Palm Sunday. At the Children’s Table we will create our own palm branches to wave just like the people did as Jesus entered Jerusalem. This Sunday, we will be colouring pictures of Jesus’ life and using them to make a cross as a reminder that we are to follow Jesus and serve others. During the season of Lent we prepare our hearts for God through praying, asking questions and reading God’s word. This Sunday, at the Children’s Table we will create praying hand booklets to help us when we talk with God. During the season of Lent we ask God for forgiveness and remember how God wants us to live. This week we remember the Ten Commandments. What if God were to deliver the Ten Commandments today? How would these important rules be delivered and received by people living in the year 2018? Today, at the Children’s Table, create a Ten Commandments Phone as a reminder of God’s expectations for us and of our continued conversation. This Sunday, at the Children’s Table, we will be decorating crosses to remind us of Jesus’ life and death and of God’s love for us. During the season of Lent we remember Jesus’ 40 days in the desert. This Sunday, at the Children’s Table create a paper chain to help you count down the 40 days of Lent. On Transfiguration we remember how God appeared as light in Jesus and how God’s light guides us and tells us where to go. This Sunday, at the Children’s Table, create a picture of Jesus glowing with light to remind you that you are to follow and be God’s light in the world. During Epiphany we celebrate Jesus’ ministry and remember that Jesus came into the world to show us God’s love. This Sunday, at the Children’s Table, create a picture of the earth that will help you remember that God loves and cares for the world and all of us. During Epiphany we celebrate Jesus’ sharing the good news with everyone. This Sunday, at the Children’s Table create a paper prayer chain to help you remember all the people you are connected to and how you too can share the good news of God’s love with everyone. During Epiphany we remember Jesus’ ministry. Jesus called disciples. Some of Jesus’ disciples were fishermen. This Sunday, at the Children’s Table, you are invited to decorate a fish to help you remember that we are all disciples and that we are called to share the good news of Jesus with others. During Epiphany we remember that the Wise Men followed a star that brought them to the Light of the World. We use the word ‘light’ to describe Jesus because he shows us the way. This Sunday, at the Children’s Table, decorate a poster of lights to help you remember that Jesus is the Light of the World. This Sunday, create your very own star as we remember the magi and the special star that they followed to Jesus. This Sunday, at the 10:30 service, we celebrate the fourth Sunday of Advent. Christmas is almost here! At the Children’s Table, create a beaded candy cane, shaped like a shepherd’s crook to remind us that Jesus is our shepherd. Turn your candy cane upside down to look like a ‘J’ as a reminder that Jesus is the reason we celebrate. This Sunday, we celebrate the third Sunday of Advent. All around us people are getting ready for Christmas. Perhaps you’ve started to decorate your home. Maybe you’ve even put up a Christmas tree. Sunday, at the Children’s Table, decorate an ornament to put on your Christmas tree as a reminder that we are getting ready for Jesus’ birth and that it’s not Christmas quite yet! This Sunday, we celebrate the second Sunday of Advent. During Advent we recognize that Christmas isn’t here yet and we celebrate the journey to Bethlehem and the manger. This week at the Children’s Table, create a donkey to help you mark your journey through Advent on your very own Advent colouring map. This Sunday, we celebrate the start of Advent. The season of Advent is a time where we prepare our hearts for the birth of Jesus. This week at the Children’s Table, create an Advent wreath for your table at home. Each Sunday during Advent you can ‘light’ one of the candles by raising the coloured flame from its hiding place! On Christmas morning add the final candle to the center of your wreath as you celebrate Jesus’ birth! In Sunday’s gospel we are reminded that in order to be like Jesus we should love and serve others. On November 26th, at the Children’s Table, create a service wheel to help you remember ways that you can show Jesus love to others. God gives each of us talents and gifts that we can use to share God’s love. Everything we have is a gift from God. What talents has God given you? Today at the Children’s Table, create a picture of yourself that shows all the wonderful ways that you can use the talents God has given you. Use a marker to write your talents on a paper person. Colour your paper person to look like you! Would you be ready if Jesus walked in today? What would we need to do to be ready? Today at the Children’s Table, create a Welcome Mat as a reminder that, ready or not, Jesus is always with us! This Sunday, at the Children’s Table create a king or queen puppet to help you remember that Jesus defines greatness in a way that is different from most people and that we are to be servants to others. 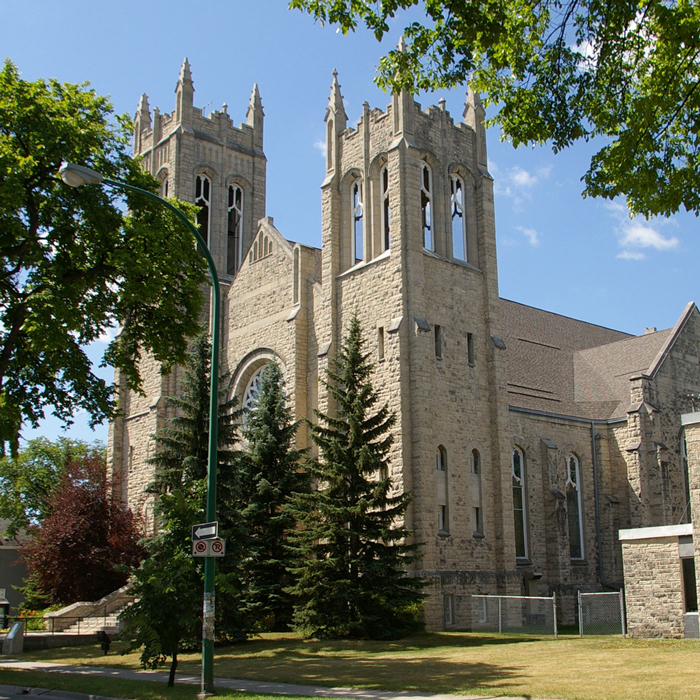 This Sunday, we are reminded that we are to love our neighbours as ourselves. At the Children’s Table this week you are invited to create a 3-D heart card to give to someone that you love. This Sunday we are reminded that we are to “give to God the things that are God’s.” At the Children’s Table this week you are invited to decorate a foil coin with words and images of things that we give thanks to God for. This Sunday, we are reminded that when we pray we are having a conversation with God. At the Children’s Table you are invited to quietly talk to God as you colour your own prayer wheel. Use the pictures on your prayer wheel to help you start your conversation. This Sunday, we are reminded that we are to remember and celebrate that God is the source of all blessings. At the Children’s Table, create your own Thankful Pumpkin to put on your table at home as a reminder of all the blessings in your life. This Sunday, we are reminded that when two or more are gathered God is among us. At the Children’s Table children are invited to decorate a picture of a group of people to resemble themselves and their family and friends. This Sunday we hear the story of the unforgiving debtor. Today at the Children’s Table, decorate a crown to help you remember that Jesus, the King of Kings, wants us to always forgive others just as God forgives us. This Sunday we are reminded that while saying your sorry isn’t always easy it is what Jesus wants us to do and we need to remember that God always forgives us! Today at the Children’s Table decorate an ‘I’m Sorry Tree’ to help you remember this important message. In this week’s Gospel reading we hear about God creating the world and all that is in it. Today at the Children’s Table, make a Creation Book Mark to help you remember, and retell, this wonderful story. In this week’s Gospel reading we hear about the Holy Spirit reminding Jesus’ friends that God is with them always. Today at the Children’s Table, create a wind sock to serve as a reminder to you that God is always with you. In this week’s Gospel reading we hear about Jesus saying a special prayer for his friends. Today at the Children’s Table create a prayer mobile to help you pray for your friends. In this week’s Gospel reading we hear of the first Christians and how they shared God’s love with others. The fish was a sign used by the first Christians. Today at the Children’s Table create a Fish Weaving to remind you of these people and how you too can share God’s love. In this week’s Gospel reading we learn that the first followers of Jesus were known by their loving actions. Today at the Children’s Table, make a magnifying glass and search for signs of Jesus’ love. In this week’s Gospel reading we hear the story of The Road to Emmaus. Today at the Children’s Table, create a story scene puppet of the two friends walking the road with Jesus as a reminder that Jesus is still with us. In this week’s Gospel reading we are reminded that like Thomas and the disciples, we can share the good news of Easter, that Jesus’ love will always be with us. This week at the Children’s Table, create a pencil decoration to remind you of this good news and help you share this news with others. In this week’s Gospel reading we hear about a parade for Jesus. Today at the Children’s Table use your hand prints to create a special palm branch to wave as you shout praise to God. In this week’s Gospel reading we hear the story of Lazarus and are reminded that God’s love is with us in happy and sad times. Today at the Children’s Table, create a special heart shaped reminder of the Gospel message. In this week’s Gospel reading we hear of Jesus helping the blind man to see and learn that God’s love is for everyday. Today at the Children’s Table, create a pair of heart glasses as a reminder of the story and of God’s love! In this week’s Gospel reading we hear how the woman leaves the well filled with the good news of God’s love. This week at the Children’s Table, create a Water Windsock as a reminder that God’s love is like a drink of water, fresh and satisfying. In this week’s Gospel reading we hear of Nicodemus learning about becoming a new person. Today at the Children’s Table, create a puppet to show how a caterpillar becomes something new! During Lent, we do not say or sing the word ALLELUIA. This is because Lent is a quiet, thinking time. We use the season of Lent to get ready for Easter. This Sunday at the Children’s Table colour your very own ALLELUIA and place it into an envelope to be opened at Easter, when we celebrate that Jesus is alive and say and sing ALLELUIA once again! This week children are invited to make Sun Masks as a reminder that God’s light shines in them. The Children’s Table area is designed to give children the opportunity to experience worship in ways that allow for creativity and room to wiggle. Children and their caregivers are invited to visit the Children’s Table following the anthem and make use of the materials and activities that are there. Children’s bulletins help even the youngest worshippers connect to the day’s message and instructions are provided for a self-guided activity. Additional books, toys and colouring supplies are also available at the Children’s Table for those who wish to make use of them.